Thank you for visiting the Papillon Perfumery website. 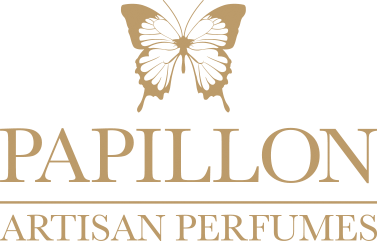 Papillon Perfumery provides the content and products available on this website to you subject to the following terms and conditions. In using and purchasing from the Papillon Perfumery website, you acknowledge that you have read, understood and agree, without limitation, to be bound by the terms and conditions contained herein. Acceptance of these terms and conditions does not affect your statutory rights. The Site and Application are operated by Papillon Perfumery Ltd, a company registered in England and Wales under company number: 07709743 Registered office: 26 York Street, London, W1U 6PZ. You can contact us using the following email address info@papillonperfumery.co.uk. All products are subject to availability. We will notify you as soon as possible if any items you have ordered are not available. We are unable to ship outside of the UK at present due to new rules regarding the sending of perfume as these are now classified as dangerous goods. However we are continuously working with stockists and suppliers in an attempt to find a cost effective way to ship our perfumes to other EU countries and internationally. A maximum of 150ml of perfume can be posted at any one time due to new postage rules. Orders placed before 2pm between Monday and Friday (except for Bank Holidays) will be posted the same day. Orders placed after 2pm will be posted the next working day. Orders placed on Saturday or Sunday will not be posted until the next working day. Orders will be dispatched using Royal Mail tracked 1st class delivery. Full sized bottles of perfume will be posted using 1st class Royal Mail tracked delivery and will require a signature upon receipt. Sample bottles will be posted using signed 2nd class postage and will therefore require a signature. All items should be delivered within five working days. We will do our utmost to dispatch your goods promptly, during busy periods, delays may occur. Please ensure that you enter the correct delivery address at the time of ordering. If re-delivery to the correct address is required, you will incur additional charges. Papillon Perfumery accept no liability whatsoever for delayed delivery caused by a third party. As soon as you are in receipt of the goods you will assume all risk in the goods. Individual samples are posted using Royal Mail signed 2nd class postage £3.00 (a maximum of 4 per parcel). This returns and refunds policy does not affect your legal statutory rights under the Consumer Contracts Regulations, the Sale of Goods Act or any other relevant legislation. Faulty items returned must be unused and in their original condition (unopened with packaging still intact). Items must be returned within 14 working days from the day after the date on which you received the goods. If you receive faulty goods we will replace the item(s) as appropriate. The item(s) must be returned to us complete with all the packaging and a brief note explaining the fault. For your security and assurance, we advise sending such item(s) by recorded delivery, the cost of which we will refund to you. Please note that no replacement can be given until we are in receipt of the faulty goods. Please send returns to Papillon Perfumery Ltd, Pinewood Lodge, Landford, Salisbury, Wiltshire SP5 2QP. We cannot make refunds if you do not like a perfume. Please use our sample service so you can try before you buy. *Important information regarding postal returns* Royal Mail have new labelling rules when posting perfume. These MUST be followed when posting perfumes within the UK. All returns MUST have the correct labelling on the outer box to be fully compliant with these rules. The outer packaging box you are returning the item in must display an ID8000 label (available at all post office counters) with the tick box completed accordingly. Failure to do so may result in your return being confiscated by Royal Mail whereupon we will accept no responsibility for your loss. Should you wish to cancel your order prior to dispatch, this can be done by sending an email to info@papillonperfumery.co.uk. If you are interested in this service, please contact Papillon Perfumery at info@papillonperfumery.co.uk. Separate terms and conditions apply and will be made available upon request. We ask for 50% of the total cost for this service to be paid prior to the consultation. The client will receive the bespoke perfume upon receipt of the outstanding balance. Payments for this service can be made via PayPal, bank transfer or cheque. As the client has the opportunity to work closely with the perfumer throughout the 6 month process, no refunds will be given should the perfume not match the client’s expectations. We are fully committed to protecting your privacy and will only use your personal data in accordance with the provisions of the Data Protection Act 1998. Where required by law, court order or regulation, your personal data may be made available to third parties; it may also be shared with other organisations to prevent fraud. Personal data collected at the time of order will only be used to process your order and infrequent communication from Papillon Perfumery. In submitting your personal details to this website you are consenting to our collection and processing of your information as set out in this Personal Data and Security Policy. We currently use PayPal to enable you to purchase goods securely and with confidence from our website. PayPal accepts all major credit and debit cards. All payments through PayPal will be made over a secure encrypted connection so that credit/debit card details remain safe and confidential. Papillon Perfumery accepts no liability for secure data storage as we not process your bank details. Papillon Perfumery may contain links to other websites and resources. Such links are in no way an endorsement by us of the referenced content, product, service or supplier. Should you choose to link to or from any off-website pages or other websites, you acknowledge that this is carried out at your own risk and we will accept no liability to you, however caused in this respect. The Personal Data and Security Policy contained within these Terms and Conditions does not apply to such other websites. Papillon Perfumery reserves the right to edit and alter any of the content on our website at any time. Access to the website may occasionally be suspended or restricted to allow for repairs, alterations or maintenance to the website. All content available on our website, including but not limited to text, contact, graphics, logos, photographs, names, illustrations, artwork, trademarks and other material is the property of Papillon Perfumery Ltd and is protected by copyrights, trademarks and/or other proprietary rights. You agree not to use or reproduce, in whole or in part, any content of this website without Papillon Perfumery’s prior written consent. We endeavour to be as accurate as possible when describing products on this website, subject to applicable law. However, we do not warrant that product descriptions, colours or any other content on this website are accurate or error free. The user must bear the inherent risk associated with the use of the worldwide web. We will not be responsible for any errors or omissions or any technical problems (including but not limited to worms and viruses) you may experience with the website; incompatibility of the website with any of your equipment, software or telecommunications links. We will not be liable to you or any third party for any direct, consequential, or incidental loss or damages (including but not limited to loss of revenue, loss of profits, loss of anticipated savings, wasted expenditure, loss of privacy and loss of data), events beyond our reasonable control or any indirect loss whatsoever that arises out of or is related to the use of our website. We hope that you enjoy our products. If you are for any reason unhappy with our products, service or any other aspects of our company please do not hesitate to contact us by email at info@papillonperfumery.co.uk We will endeavour to contact you regarding your complaint within 5 working days. By purchasing items from this website you are signifying your acceptance of the Terms and Conditions contained herein.